Just as we shipped out the 2014 Calgary Stampede buttons we received this old vintage button in the mail from a loyal Six Cent Press customer working and living in Airdrie Alberta – 25 minutes north of Calgary. 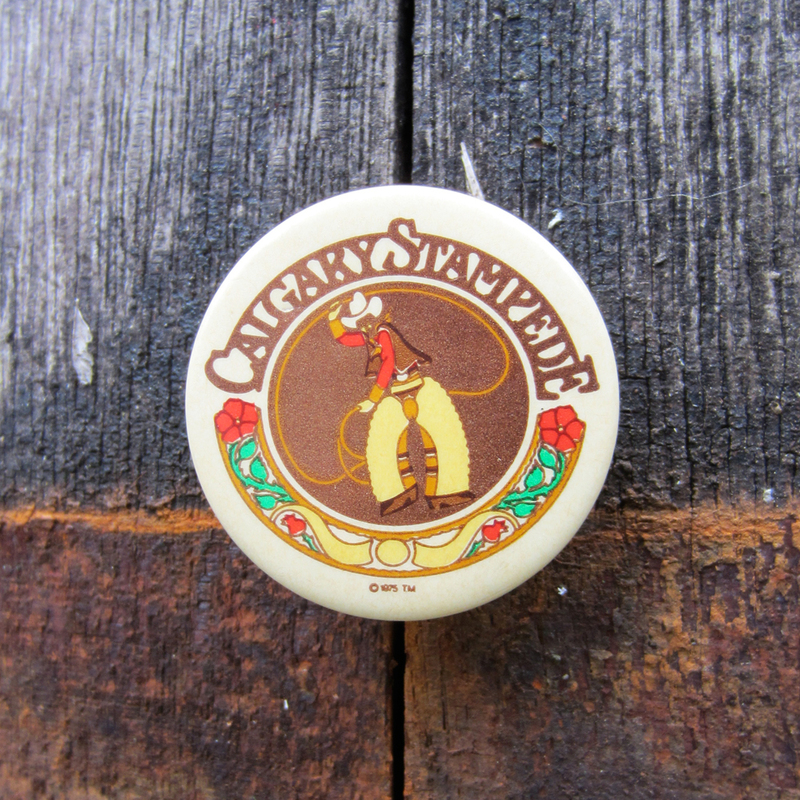 The old Calgary Stampede logo on a 1.5″ pin back button dates back to 1975. Around this time a new larger grandstand with a 5/8th mile racetrack and infield was built. The Indian Village was relocated, Suntree Park was completed and the Kinsmen Elbow River Park initiated. Since 1912 The Calgary Stampede has earned a reputation of being The Greatest Outdoor Show on Earth. We are not sure when the first Stampede button was produced, but we are thrilled to have this historical button part or our collection and grateful to be involved in the production of todays Stampede pin-back buttons.